7 Helpful Tips For Leading A Healthy, Happy Lifestyle! Q1- We know how crazy life can get and sometimes it feels like dinner on the go is your only option. What advice do you have for on-the-go moms who want to incorporate healthier options into their meals but don’t feel like they have time? A1- Focus first on the ultimate fast food – fresh fruits and veggies. Fruit like apples, oranges, bananas, raisins, kiwi, etc. make great, on the go, quick additions to a meal or snack. So do carrots, celery, cucumber slices, broccoli & cauliflower to name a few. These can be taken on the go and added to a fast food sandwich to round out the meal (ex. hamburger with apple and carrots). Keep quick sources of protein on hand like canned beans, already cooked, shredded chicken breast, ground beef that has been cooked and frozen. These can be used in a wide variety of ways (ex. quesadillas, tacos, additions to soups, salads, etc) for quick, easy, healthy meals. Q2- Younger (and older) kids can be picky at mealtime. What advice do you have for parents who want to introduce (or re-introduce) healthier options into their picky eater’s diet? 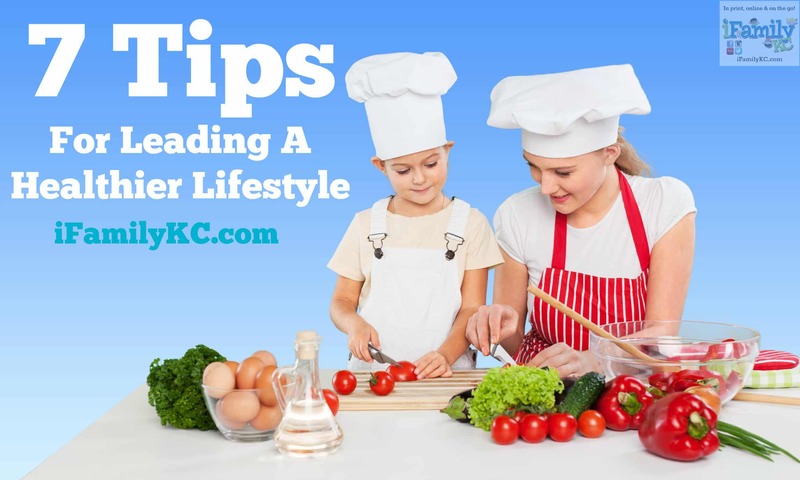 A2- Don’t make a big deal about adding a new food and be sure to be good role model. Kids pay more attention to what we do than what we say. Encourage interaction with new foods. This can be as simple as touching and smelling the food. If we can’t stand it in our hands or near our face, trying to eat it will that much more difficult. Q3- What should the ideal meal look like for families? A3- In general, this plate is what a meal should look like. Half of the plate should be filled with fruits and/or veggies. When we make sure to include fruits and veggies, we will feel full eating fewer calories. Q4- What are some delicious alternatives for favorite foods for kids (like mac n’ cheese, pizza, and tacos)? A4- My advice would be to keep these favorite foods as regulars for family meals. Be sure to include fruits and veggies with those as indicated in the previous question. Pizza can be packed with lean meat like ham and multiple veggies or the popular ham and pineapple. Make pizzas at home – that way kids can get creative with their toppings. Same thing for tacos – don’t forget the lettuce, tomatoes, salsa (try fruit salsa!). Try vegetarian options that include beans. Making pizza at home also prevents unnecessary calories from cheese in the crust or deep pan pizzas; making tacos at home allows you to choose leaner meats and make plenty of veggies available. Q5- What advice can you offer to parents who maybe have never sent home-packed lunches to school with their kids? Is it a healthier option than a hot lunch from the cafeteria? A5- Sending meals from home is not necessarily healthier than what is in some school cafeterias. There is, however, always the challenge around what kids actually choose to eat. My best advice is to engage the kids in packing their own meals. Using the MyPlate model above, kids can be allowed to decide which foods they will pack in each category helping to ensure they will eat what is packed. Q6- Do you have any advice for parents to encourage their children to choose healthier snack options? A6- The best thing parents can do is role model healthier snack options and ensure those options are readily available at home. Q7- Do you have any other words of wisdom for busy families to make healthier choices both at home and on the go? A7- Check out the 12345 Fit-Tastic! website at www.fittastic.org as well as our (Fit-Tastic!) Pinterest boards and follow us (Fit-Tastic!) on Facebook and Twitter. There are lots of ideas for healthy meals and ways to be active. Learn more about the12345 Fit-Tastic Initiative and feel free to share by forwarding this blog post to a friend whose family may benefit. Visit Children’s Mercy for more information. Online, on social media, and with Children’s Mercy Moms.